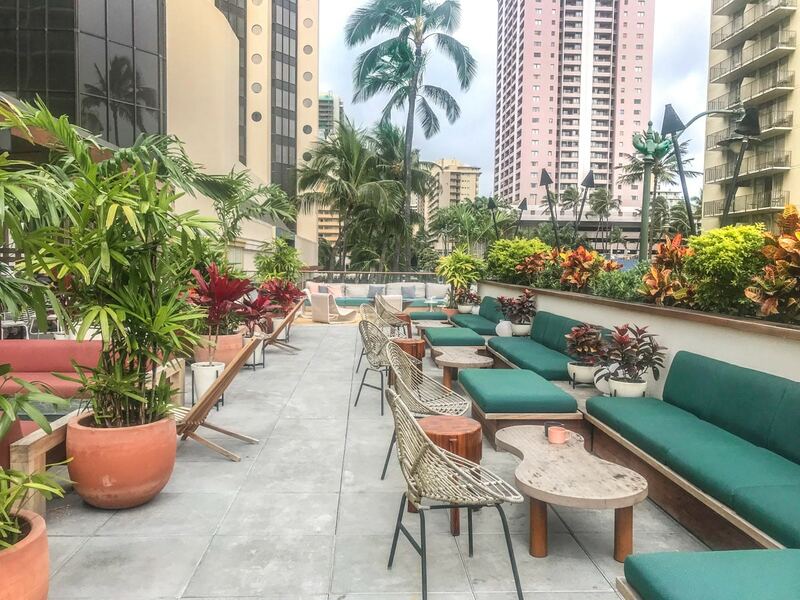 Although the term “lay-low” may not be the first verb that comes to mind when considering the confluence of chaos that is Waikiki, The Laylow — Marriott’s new autograph collection hotel — beautifully complements the hustle and bustle of Honolulu by providing visitors a convenient refuge above the city’s perpetual ruckus. 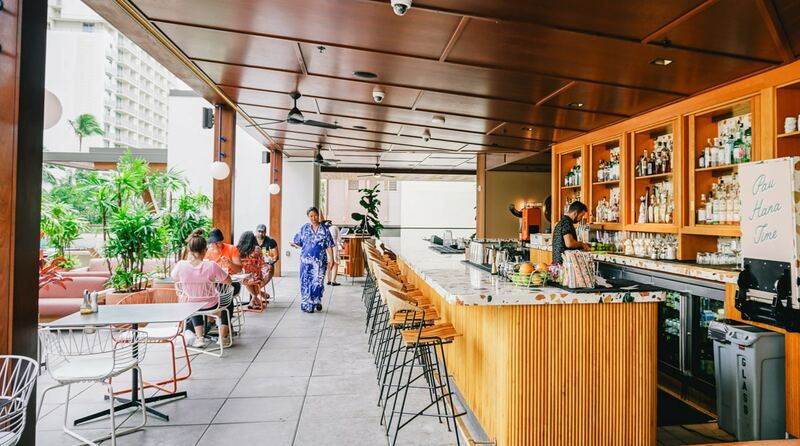 Situated in the heart of Waikiki, Laylow feels like an outpost of safety and comfort; a place that offers an easy retreat from the bustling streets below. 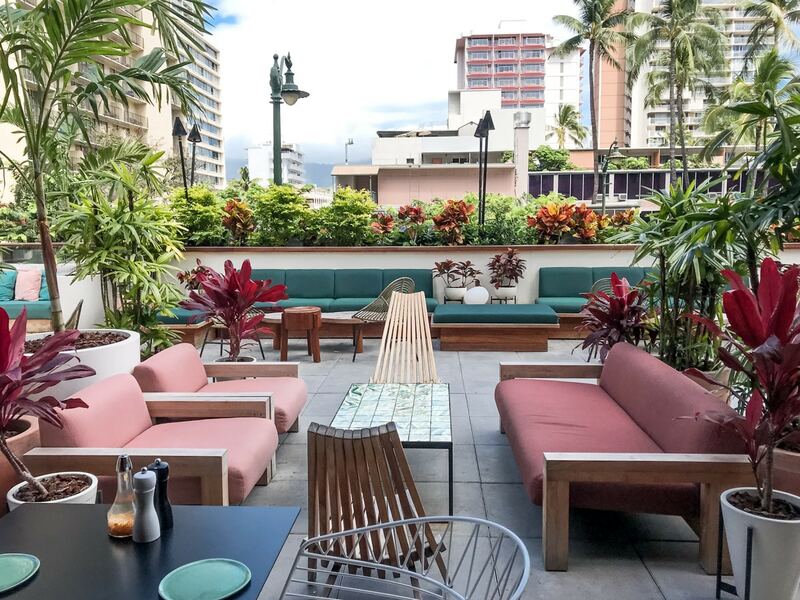 Inside, the hotel’s design and decor blends midcentury modernism with Hawaiian heritage presenting a vibe that can best be described as “Hawaiian Hipster”. 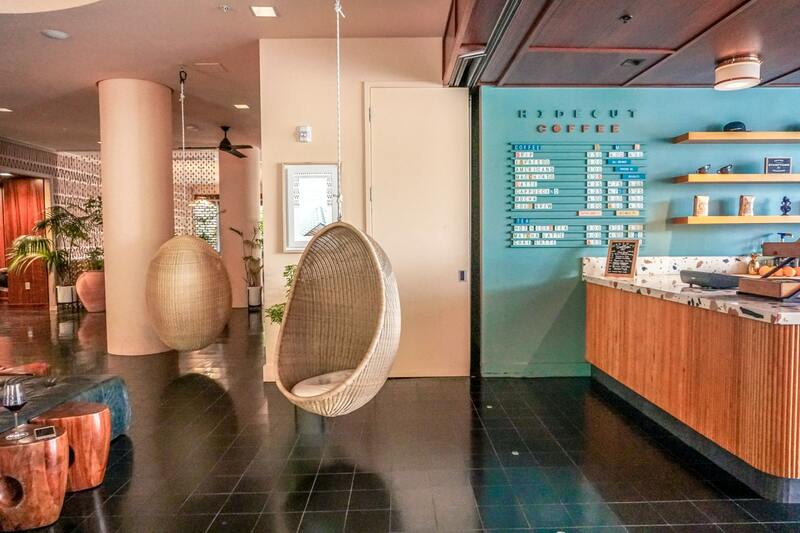 The lobby’s leather lounge chairs are augmented by wooden egg swings, and shelves of vintage hula dolls greet guests from behind the reception desk. To the left of the lobby sits a swoon-worthy saltwater pool and to the right resides a coffee bar, followed by a “real” bar at which guests in wide-brimmed hats and Tommy Bahama shirts sip colorful cocktails out of various shaped glasses. My first impression? 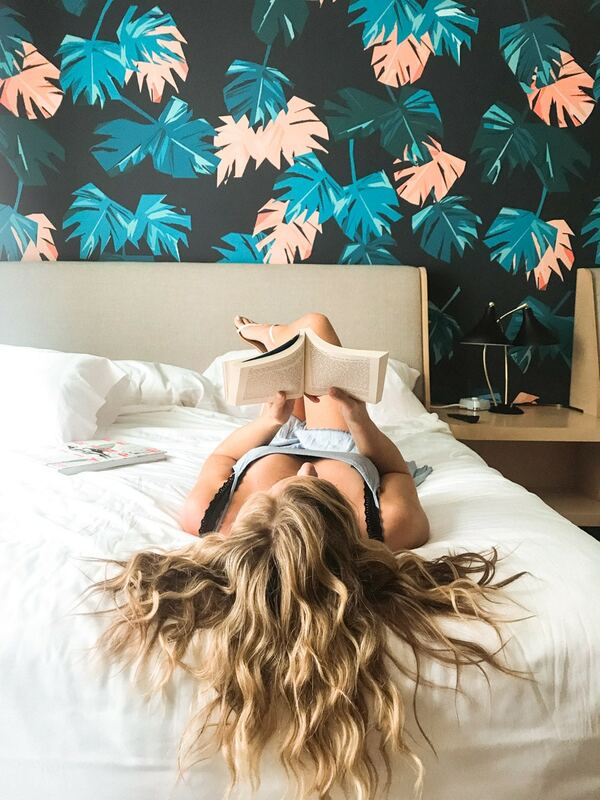 This is the most Instagrammable hotel, ever! 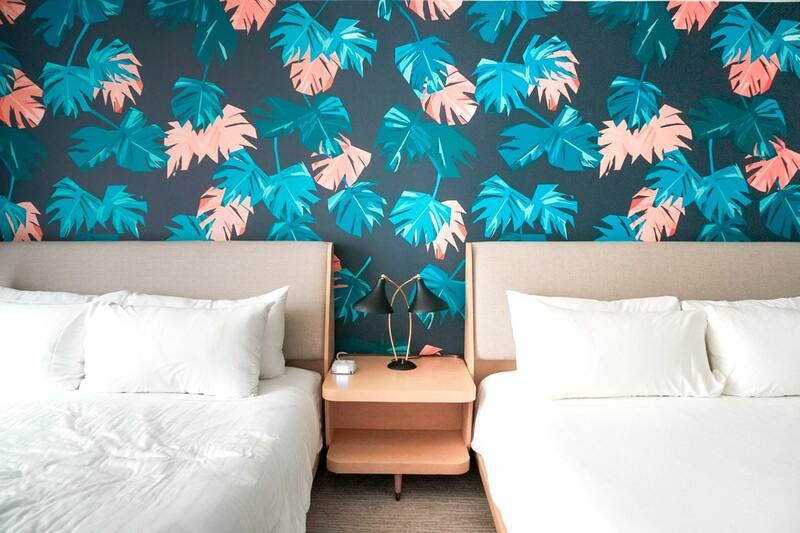 Upstairs, the rooms — like the lobby — are bright and modern with a tropical twist. The impressive entertainment center housed a “device enabled” TV (e.g. 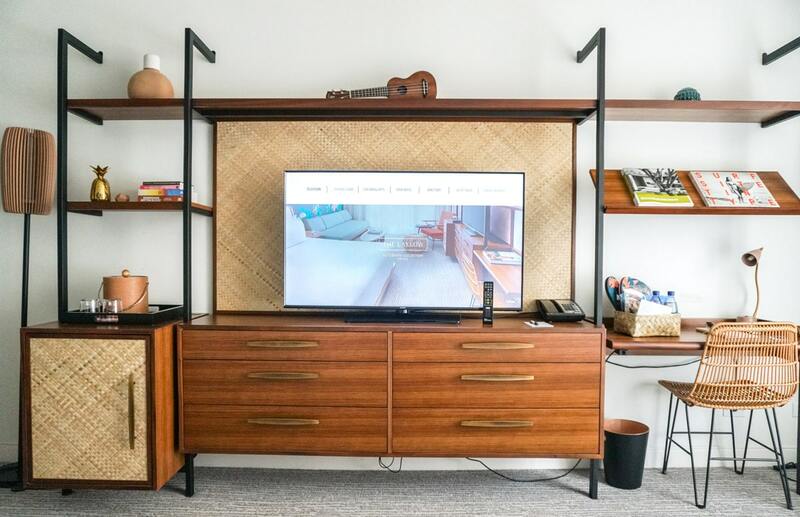 a TV that connects to your smartphone), a cute Ukelele and, my personal favorite, a stack of historic Hawaiian books including Mark Twain’s “Letters from Hawaii” (which, being the nerd I am, I began reading while at the hotel and ended up purchasing on Amazon after I returned home). Upon entering the room I was greeted by a welcome basket containing Hawaiian snacks and a couple pairs of Laylow branded flip-flops. 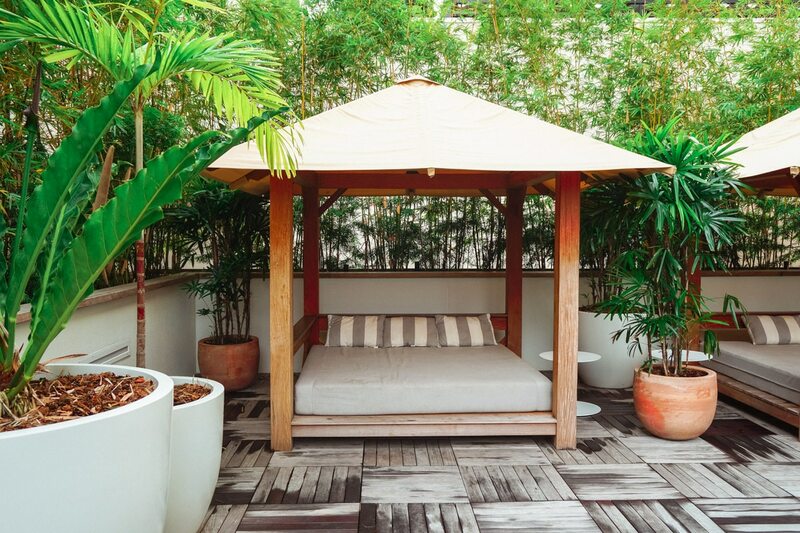 These little touches and thoughtful amenities are what really set The Laylow apart. Initially I had planned on spending the majority of my hotel time at the gorgeous saltwater pool. However, the weather had other plans (which resulted in me spending an increased amount of time at the bar / restaurant — but more on that later). Despite the cloudy weather, I was able to sneak in some pool time on my last day at The Laylow, and it was everything I had hoped and dreamed (minus the sun). 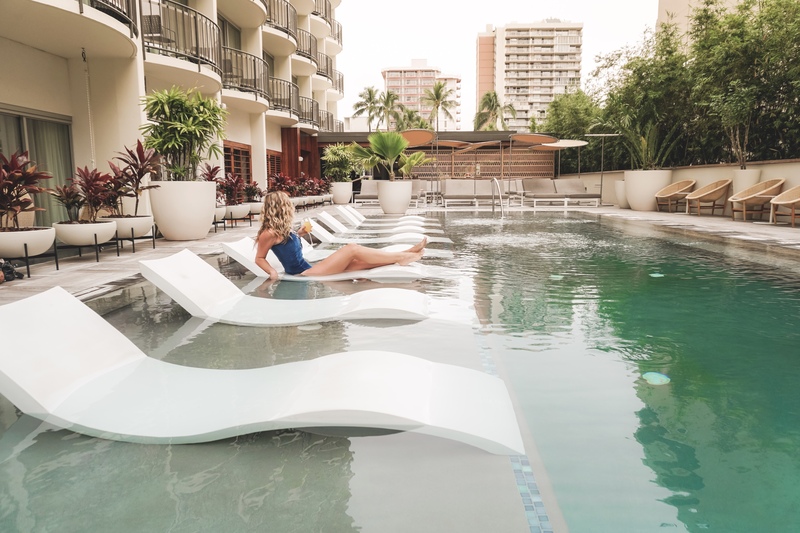 The secluded pool is surrounded by a variety of seating options — from cabanas, to chairs, to lounges (both in and out of the water) — making it an ideal place to “lay-low” during a stay at The Laylow (that was the last “Lay-low” pun, I promise!). Guests can bring drinks from the bar to the pool area or grab complimentary refreshments (lemon water, fruit, etc.) from the pool-side, self-serve bar. Located next to the pool (indoors) is a 24-hour gym containing a selection of cardio and weight machines as well as yoga mats and free weights. However, I generally adopt a “no working out while on vacation policy” so I didn’t take advantage of the workout facility. 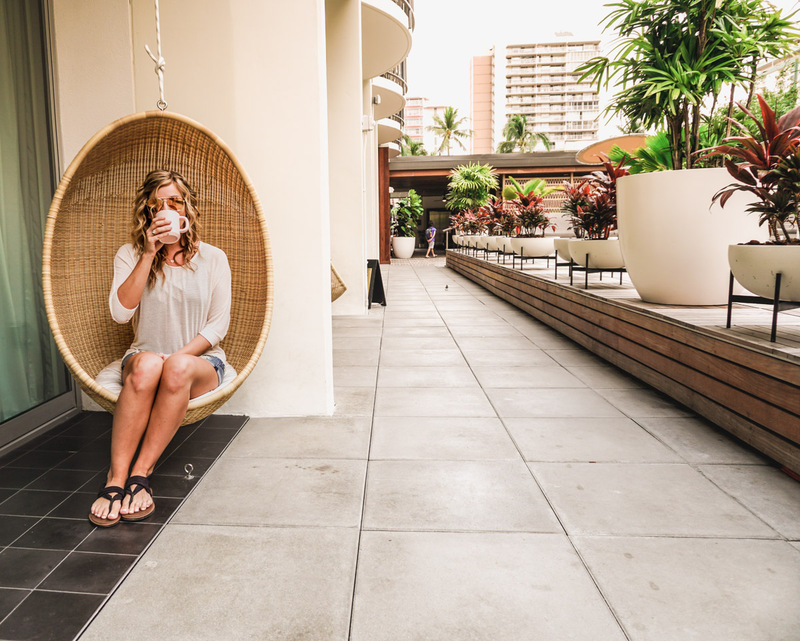 Perched one story above Kuhio avenue, Hideout at The Laylow is the perfect combination of hotel lounge and beach bar. The food menus (they serve breakfast, lunch and dinner) are complemented by an array of creative cocktails and a good selection of beer and wine. Here, the seating is as varied as the drinks. Patrons can choose to perch at the bar, dine at a table (indoors or outdoors), or lounge on the lanai among firepits and tiki torches. Despite touting itself as a “hidden gem,” Hideout seems more like a local hotspot. On any given night a combination of locals and visitors line the bar while listening to live music or sipping cocktails around the fire pits. This definitely seemed like one of the more popular bars in the area for an evening cocktail, and I completely see why. The drinks and staff are terrific and the outdoor ambiance provides a beautiful backdrop. From the friendly attentive staff to the abundance of amenities, The Laylow is an ideal oasis for anyone vacationing (or staycationing!) 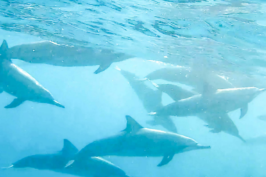 in Waikiki. I literally LOVE everything about this hotel and I will definitely be back! As one who is subjected to watching Moana on repeat, I’m dyyyying to go back to Hawaii! I love the vintage vibe of this hotel and I’m totally digging that blue suit! This looks absolutely amazing. I feel like after spending a few days here I would feel completely relaxed and refreshed. What a gorgeous hotel. 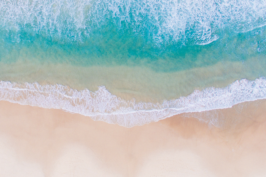 It looks like the perfect place for a little R&R style getaway. Wow! I am SO jealous. Looks absolutely fabulous. 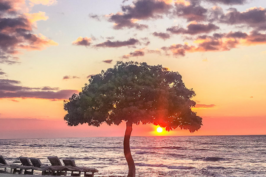 What a great place to stay in Hawaii. Totally instagrammable. Such a gorgeous accommodation! What I wouldn’t give to be back in Hawaii without a care in the world! Thanks. Good luck on the giveaway ??? ?